What Makes Portable Farms® Aquaponics Systems Different? It is with great joy that we offer you this glowing endorsement (below) from Mr. J.T. Mapoka, the License Holder of Portable Farms® in the Country of Botswana Africa, regarding our Portable Farms® Aquaponics Systems’ technology in his country. J.T. Mapoka installed a 10,000 sq. ft. aquaponics system for commercial growing as well as offering to build Portable Farms for others in Botswana. He generously referred to Portable Farms® as a ‘true golden machine that produces real organic food.’ Please join us in reading his rave reviews. Thanks very much for shipping the FF Mineral Rock Dust consignment; it has eventually arrived after waiting in anticipation. We have already applied it to the grow-areas two weeks ago, and the farm staff tells me that there is already a difference and the plants are flourishing better than before, and they are very proud of them. We have grown and tested quite a variety of plants, and we are confident we can grow anything for what our local markets dictate. I hope to get a least one or more commercial farms built before the end of this year (2013), and remember my business is your business. Things have never been so positive, I think, as mentioned earlier, because the Portable Farm is in place and undoubtedly and visibly producing unmatched food products in the market. To Phyllis, I must say, you did very well during your presentation at the inventor’s forum, I was proud to watch it on video from the net. Could I please have a copy of that presentation so that I could tailor make it for our use, because very soon I’ll be asked to make presentations as more people apply for funding to finance their own Portable Farms projects. Our Farm is called AquaFarm (PFAS). Thank you so much my friends, and may God Bless you for ever! We have been researching the best products and systems for commercial aquaponics farm. We stumbled upon your system and we are in the process of purchasing the COMMERCIAL AQUAPONICS GOLD BOOK. Can you please give our email address to your licence holder in Botswana, Mr J T Mapoka. it will be interesting to speak to him from an African perspective. initially we would just like to buy the system and understand the yields of various vegetables and fish. Maybe later on look at being a licence holder in South Africa if you don’t already have one. 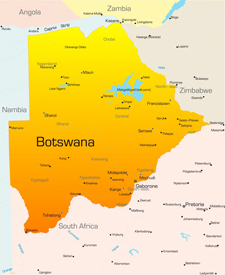 We have forwarded your request to the License Holder in Botswana. The Commercial Aquaponics GOLD book is the best place to start. I’m delighted that your product (Portable Farms) found a positive footprint in Africa (Botswana). I’ve being researching about Aquaponics and i think PFAS will be a way to go at this stage. How do i become a Licence Holder in South Africa? 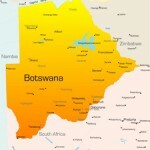 I’ll be visiting Botswana in the near future to experience for myself what AquaFarm (PFAS) is doing. Could you please send me Mapoka’s email address? I would like to start a line of communication with him. Thank you for the kind words. There is also a commercial PFAS installation in Lagos, Nigeria. The owners only supply their own hotel’s four restaurants. To become a license holder start here and then we can have further conversations. I will forward your information to the Botswana License Holder and he can contact you directly. Your group needs to have a construction company as part of the organization or one you trust or licensing will be very tough to obtain. That’s because you will be required to build four (4) commercial size PFAS installations per year to maintain your Territorial PFAS Technology License in good standing. A rough estimate of the cost for the first year including the PFAS Technology License is above US$1M.